Hello again Hook Nookers, I am so happy to be back on The Hook Nook blog today! My name is Ashley and I am the maker behind A Crafty Concept. 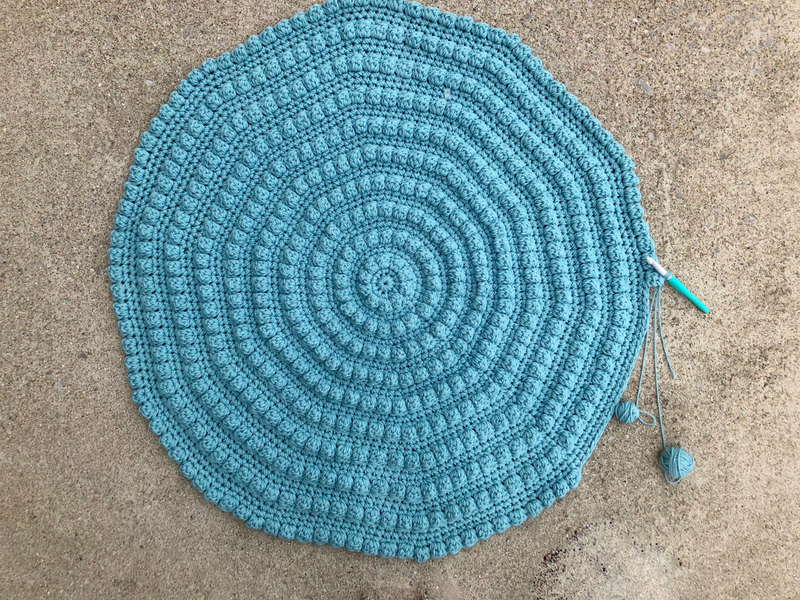 I have a brand new pattern for you guys and I am kinda pumped about it. 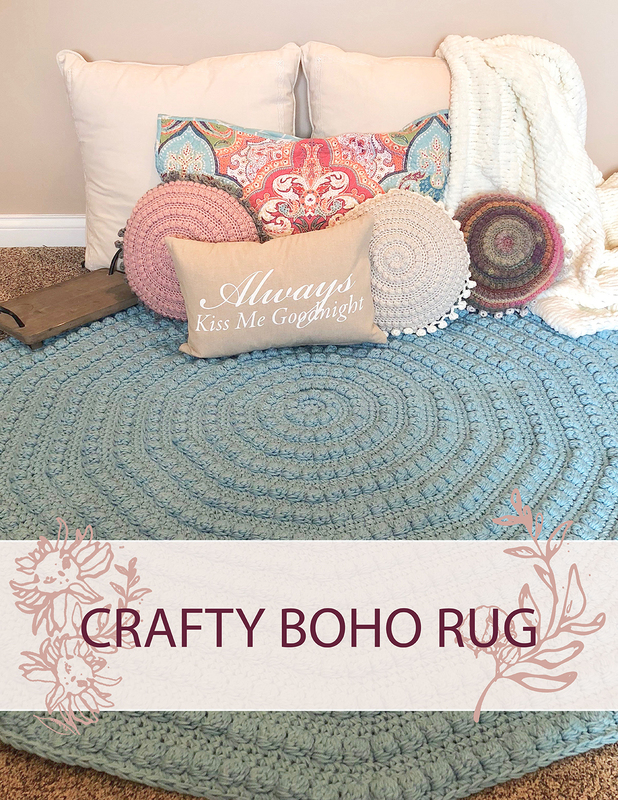 This is the Crafty Boho Rug! It is inspired by the Crafty Boho Pillow pattern I shared with you guys back in August. 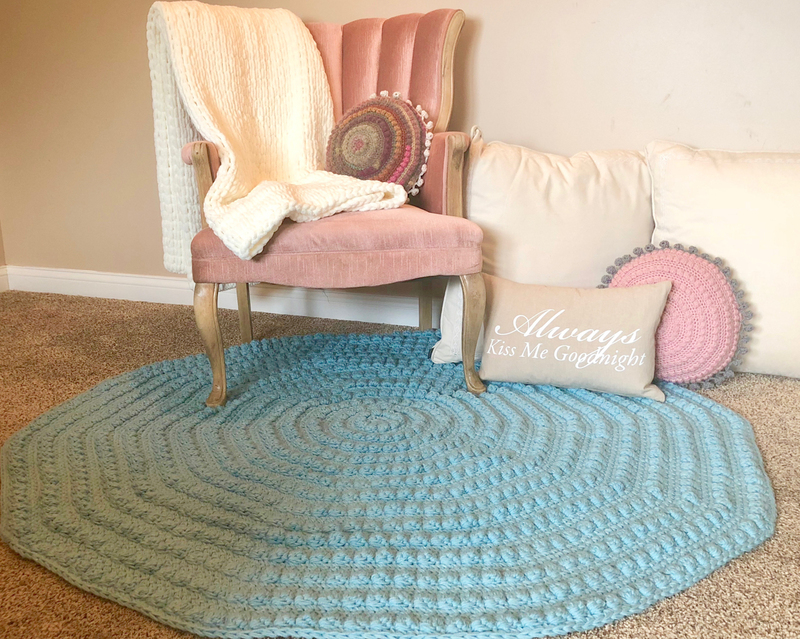 The Crafty Boho Rug is made using three strands of yarn simultaneously, making it chunky and durable. 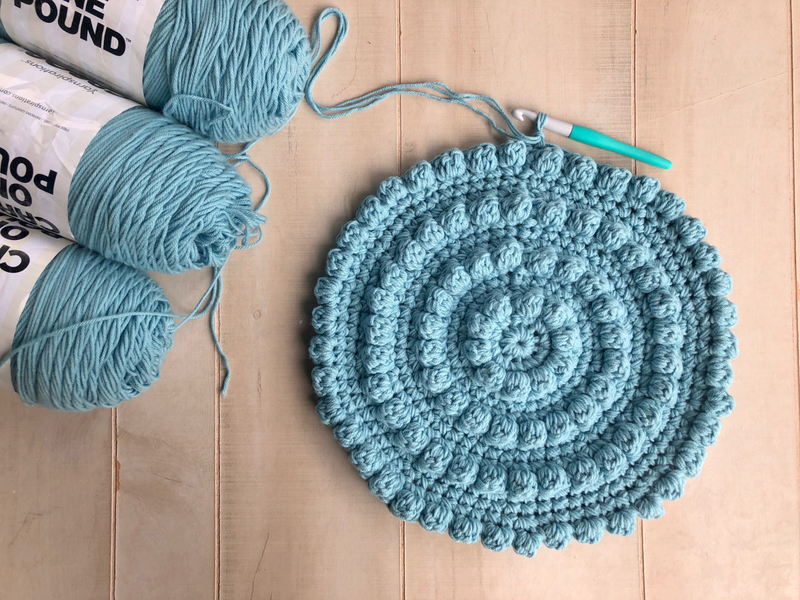 The round design is super trendy right now and it’s great because you can easily adjust the pattern to make a rug size that’s perfect for your space, just stop when your rug is as big as you would like. I recommend stopping on an increase round directly after a bobble round. This will help your rug lay flat and keep it from curling under. Here’s what you’ll need! 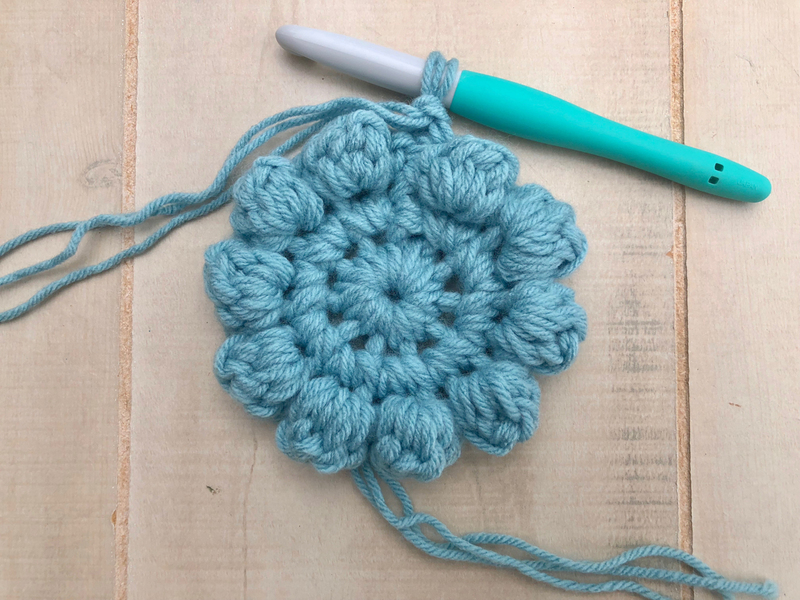 12mm crochet hook (my hook is by Clover). Finished rug dimensions: About 58” in diameter. 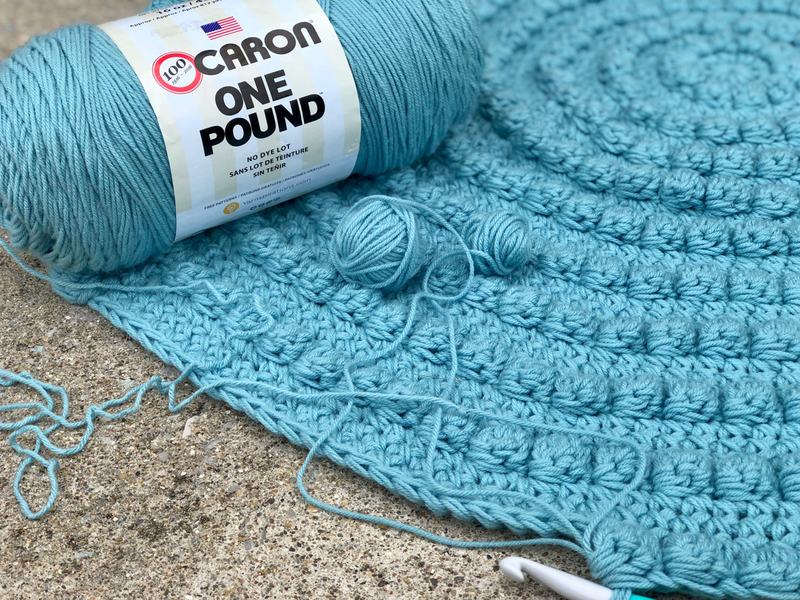 This pattern is worked using three strands of yarn simultaneously, making your finished rug super thick and durable. If you don’t like holding three strands at once, you can use this technique (in this video) and just work from one skein at a time. Lets get started! Remember the rug is worked by holding 3 strands of yarn at once. Pro Tip: This is a good place to stop if you only want to use three skeins of yarn instead of 6. Thank you so much for letting me hang out with you guys again today! 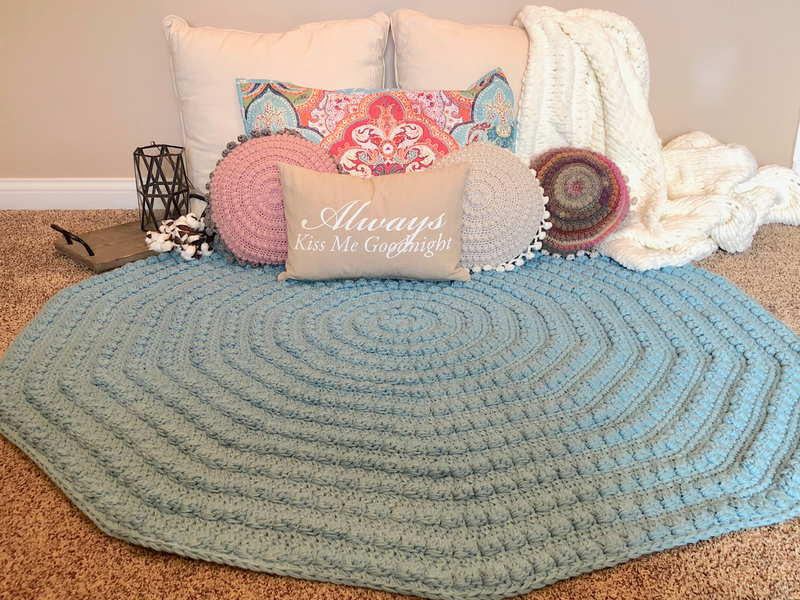 I really hope you love the Crafty Boho Rug pattern. It may look intimidating working on such a large project, but the end result is amazing, and so is the sense of accomplishment that comes with it! If you make any Crafty Boho Rugs, I would love to see them! I am always intrigued by the color combos you guys come up with. You can tag me @ACraftyConcept on Instagram and #CraftyBohoRug and I’ll see it! 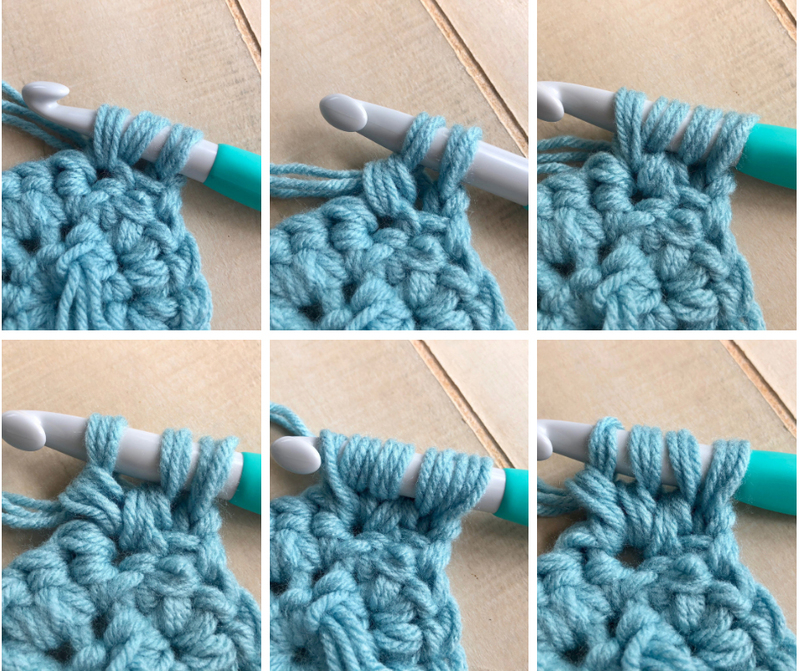 Be sure to subscribe to my blog for more free patterns and to stay in the loop with all things Crafty. It was an honor hanging out with you guys today on The Hook Nook, I can’t wait to see your Crafty Boho Rugs!